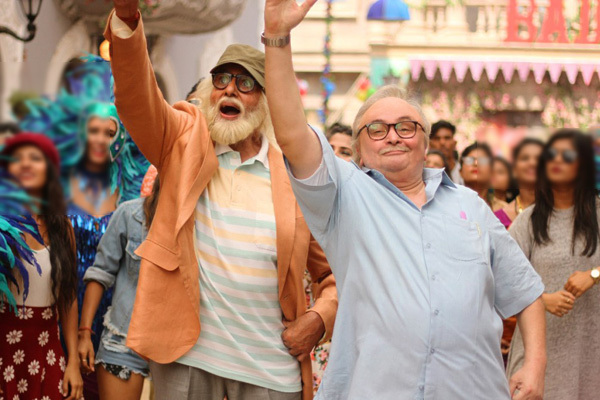 MUMBAI: After receiving a positive response to Amitabh Bachchan's Badumbaaa, director Umesh Shukla says he has decided to include the song in the film 102 Not Out. The fun and peppy Badumbaaa features Big B along with actor Rishi Kapoor. "We are overwhelmed with the response that Badumbaaa has received. We got a lot of requests from fans all over saying that they want the song to be a part of the film. Hence, now we will add the song to the end credits of the film," Shukla said in a statement to IANS. 102 Not Out will portray the relationship between a 102-year-old father, essayed by Big B, and his 75-year-old son, played by Rishi, on the silver screen. Produced by Sony Pictures Entertainment Films India, Treetop Entertainment and Shukla's Benchmark Pictures, the film is slated to release worldwide on 4 May. MUMBAI: A name we associate with gold and funky music, Bappi Lahiri, completed 50 long years in the music industry in 2019. Let’s have a look at some fun facts about this maverick music composer in this special year.